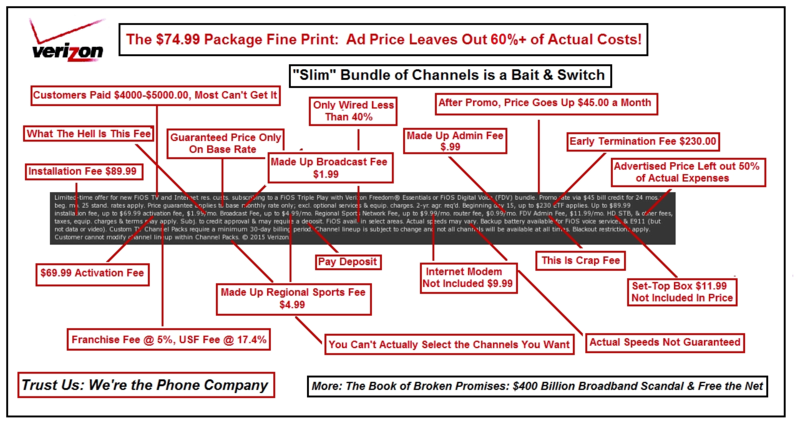 The diagram above uses an excerpt of the “fine print” that you can find at the bottom of Verizon’s FiOS TV, cable, High-speed Internet and phone advertisements, including their $74.99 special Triple Play which includes Verizon’s “customized TV plans” that offer ‘slim’ packages of specific cable programming channels. (This excerpt is from May 21, 2015.) For example, the packages include the “Lifestyle Pack”, with Bravo and Lifetime, and a “Kids Channel Pack”, with Disney XD and the Cartoon Network. And wouldn’t you know it; it’s one, big deceptive campaign as the advertised price of the service has nothing to do with the actual costs — it’s missing about 61% of expenses, and when all is said and done, the savings from picking a smaller package of cable channels isn’t really there. At the end of the day, it doesn’t really let you pick and choose the channels you want to watch. Worse, the $74.99 basic price for the service climbs an additional $45.00 a month after the ‘promotion’ is over, not counting all of the related taxes, fees and surcharges. 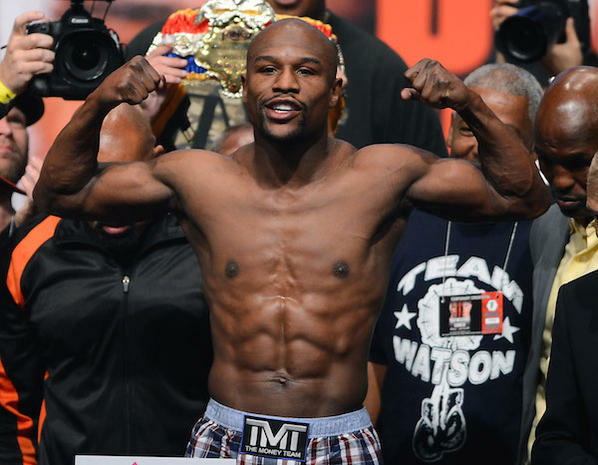 Why not move on to video on demand distribution platforms?